Pinhole Sneakers Just $10.99! Down From $35! Shipped! You are here: Home / Great Deals / Pinhole Sneakers Just $10.99! Down From $35! Shipped! TODAY ONLY! 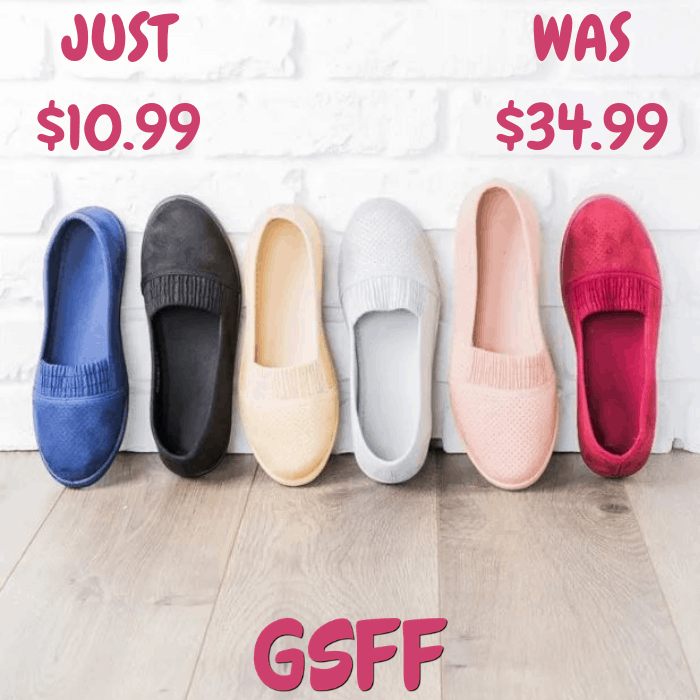 Hurry over to Jane where you can score these Pinhole Slip-On Sneakers for just $10.99 down from $34.99 PLUS FREE shipping! Experience comfort at its finest in these pinhole slip-on flats! Made with faux suede material and feature a closed/rounded toe, pinhole detailing, cushioned insoles, and a slip-on style. These are the perfect pair to run errands or even out to brunch with the gals!